ATHENS, Greece. 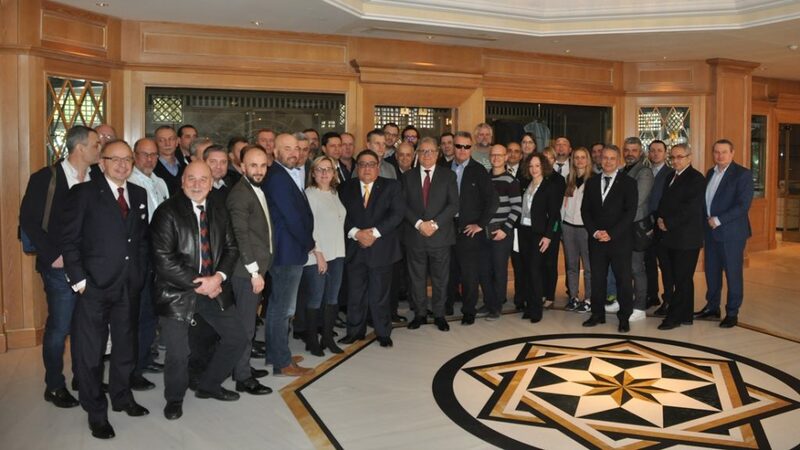 — The World Baseball Softball Confederation (WBSC) convened the first-ever East-South European Baseball Softball Summit on Thursday, January 31 in Athens, Greece, host city of the first modern-day Olympic Games. The gathering summoning European leaders was called to review and boost baseball and softball development in countries in Eastern and Southern Europe, considered key growth targets, as WBSC President Riccardo Fraccari is looking to grow baseball and softball into a major global sport and long-term Olympic sport. Twenty-seven National Federations (NFs) participated in the summit, with each NF taking the floor to cite both the challenges and successes in increasing participation levels in their respective territory. The WBSC Development Commission, based on the reports from the NFs in Athens, has been mandated to outline a strategic development plan — incorporating it into the overall Olympic/Global strategy — to present to the WBSC Executive Committee for review and potential approval. WBSC was represented at the summit by in the meeting by President Riccardo Fraccari, Softball Division Chairman Tommy Velazquez, Treasurer Angelo Vicini and Executive Director Michael Schmidt. WBSC Europe was represented by co-chairs Didier Seminet and Gabriel Waage. The East-South European Baseball Softball Summit will be followed by the Congresses of the European Baseball and Softball Authorities, which will be staged at the same location on Saturday, 2 February.